Dr. Nelson is widely recognized as a physician who is passionate about conducting innovative Rheumatology research, as well as providing outstanding care for her patients. We would like to congratulate her for being named the current “Caregiver of the Month” by the Caregivers at Carolina organization. 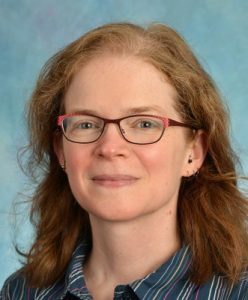 Dr. Nelson is an Assistant Professor Medicine, a faulty member in the UNC Thurston Arthritis Research Center, Director of the Musculoskeletal Ultrasound Clinic at the UNC Rheumatology Clinic, and Co-Principal Investigator for the Johnston County Osteoarthritis Project. Learn more about Dr. Nelson’s recent recognition as Caregiver of the Month, as well as her ongoing scientific research. You can also learn more about the Johnston County Osteoarthritis Project, which is recognized as one of the premier longitudinal research studies worldwide regarding the causes, impact on society, and means of addressing the impact of osteoarthritis.